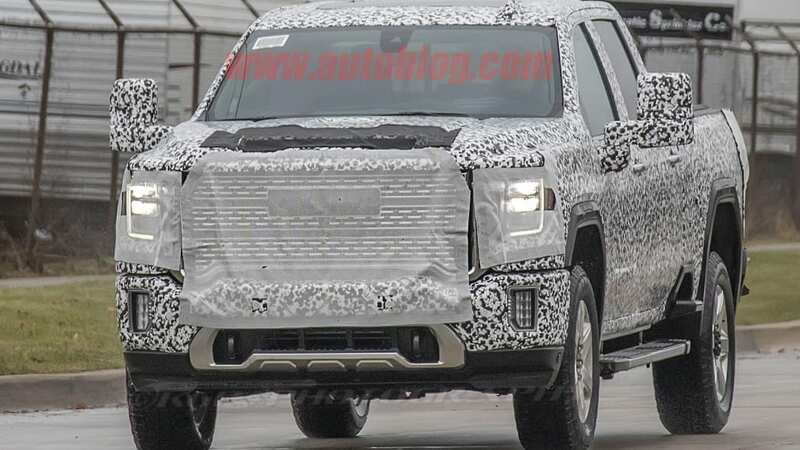 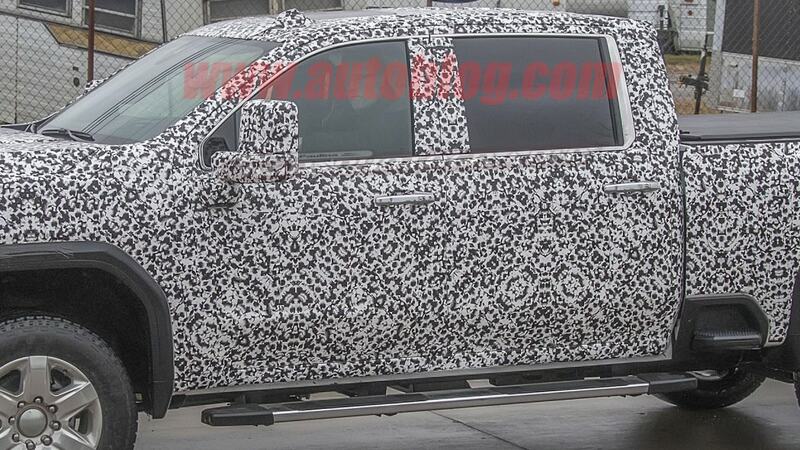 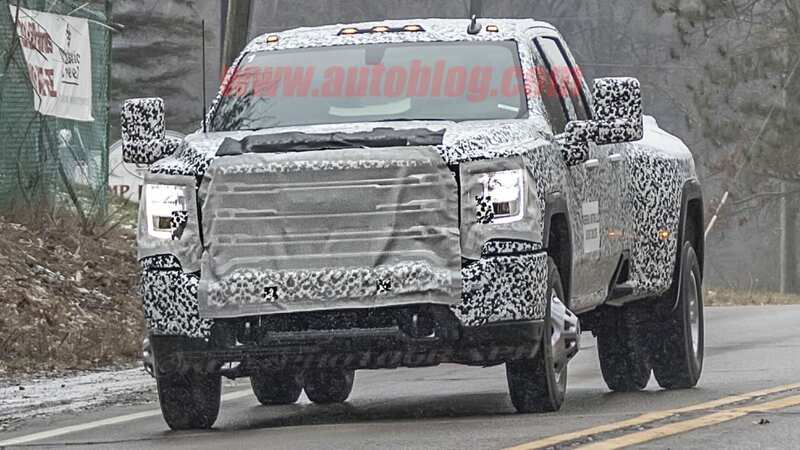 We spied the newest GM Heavy Duty trucks. 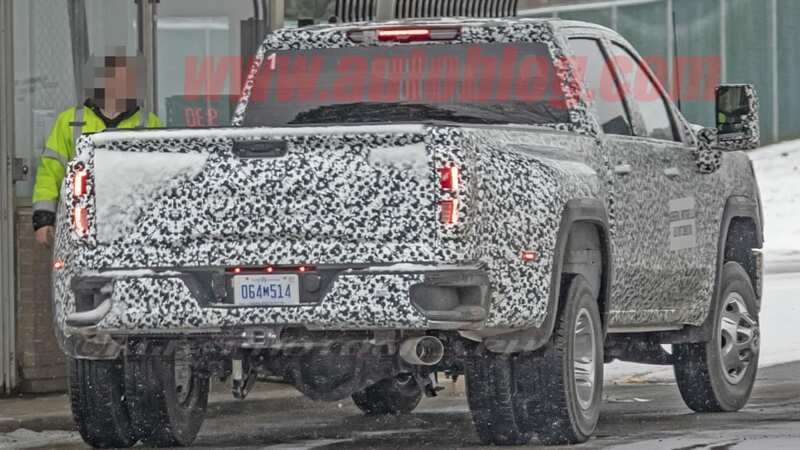 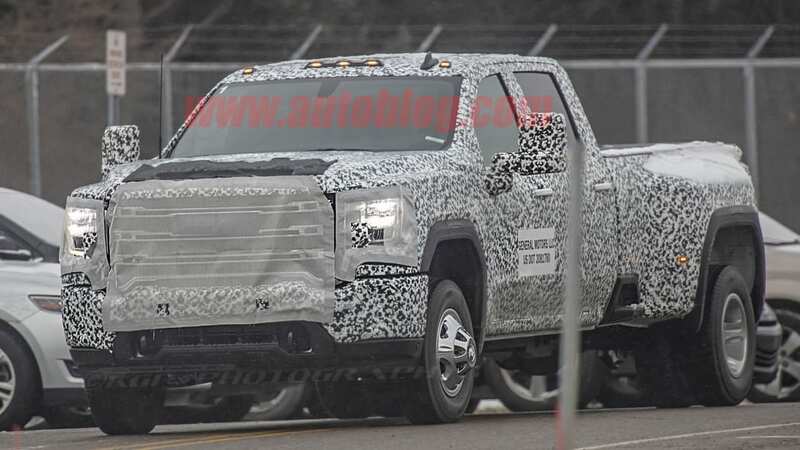 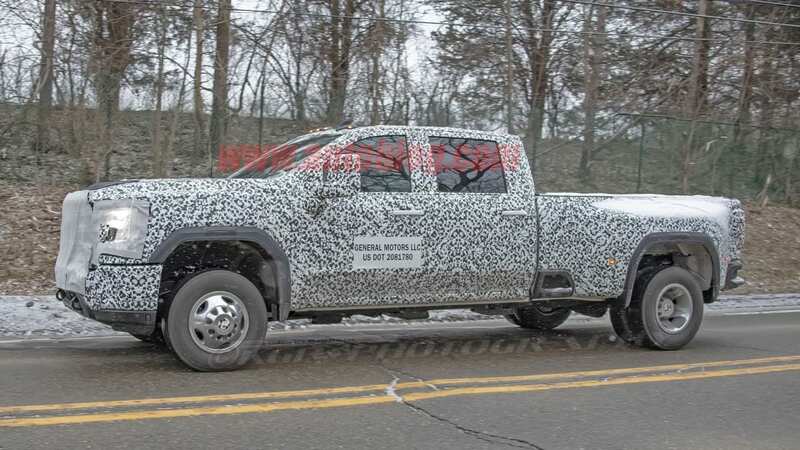 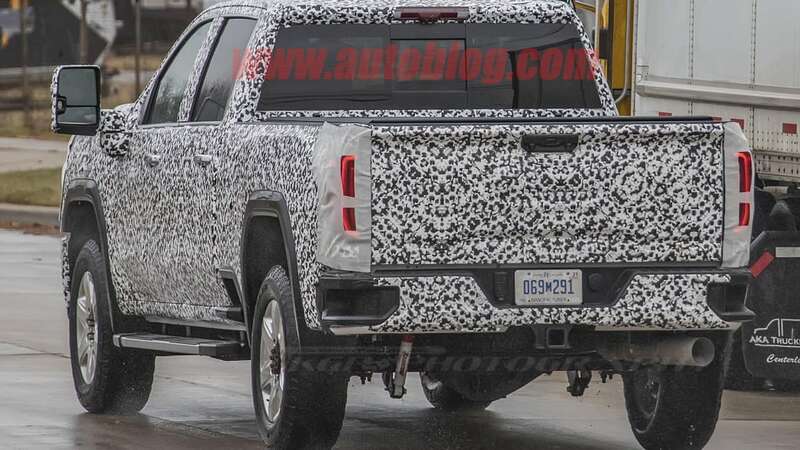 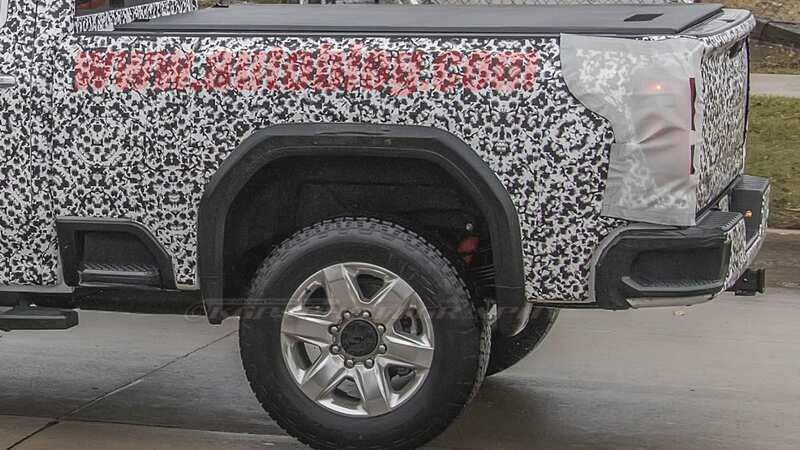 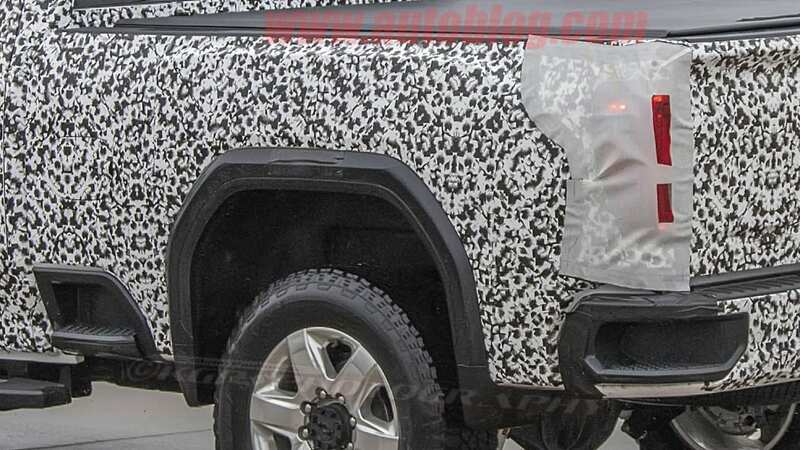 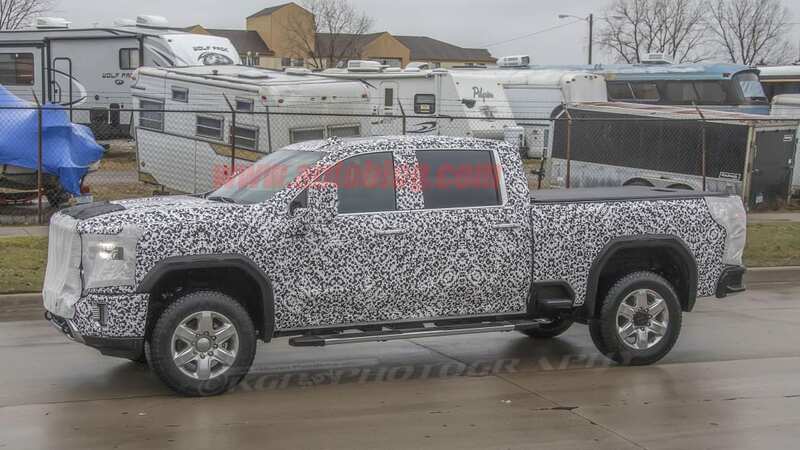 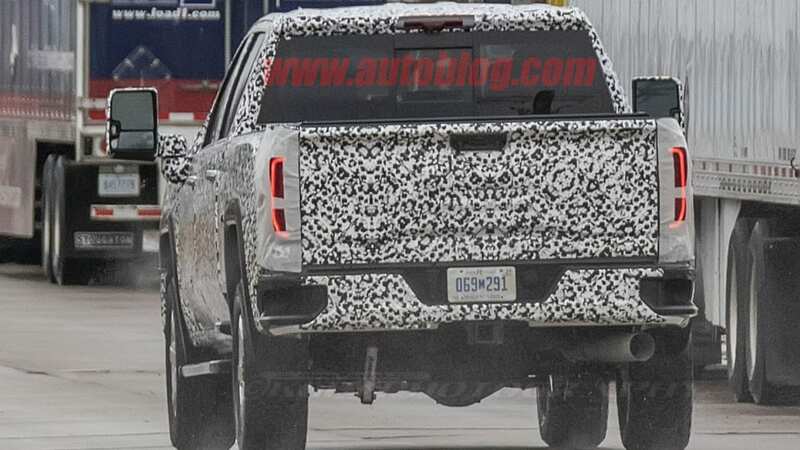 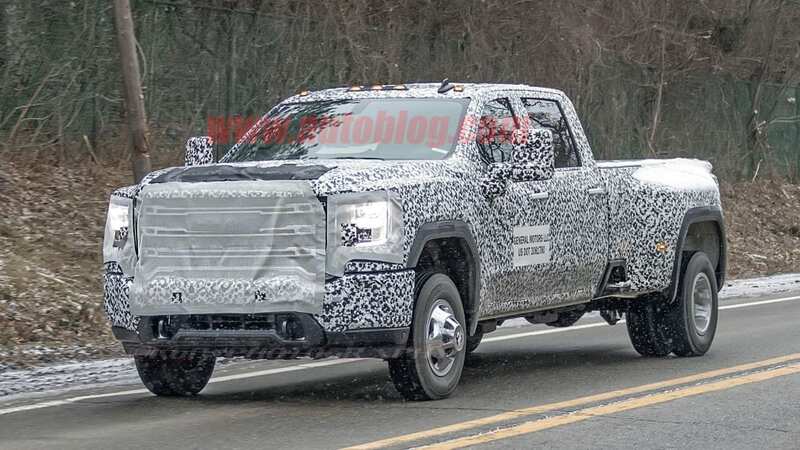 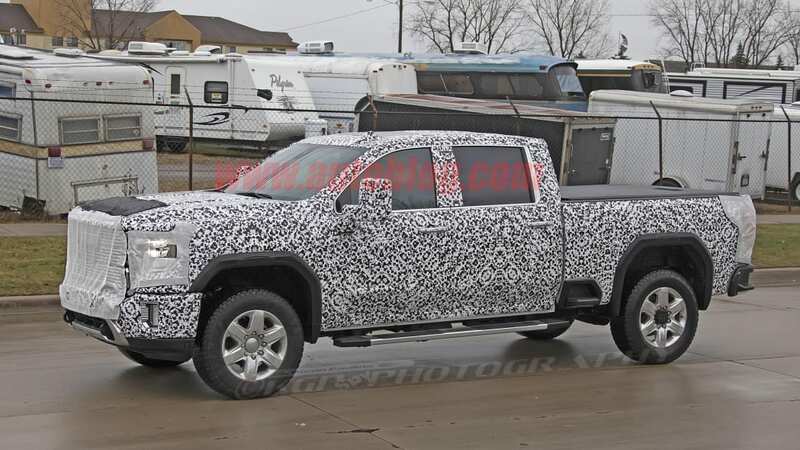 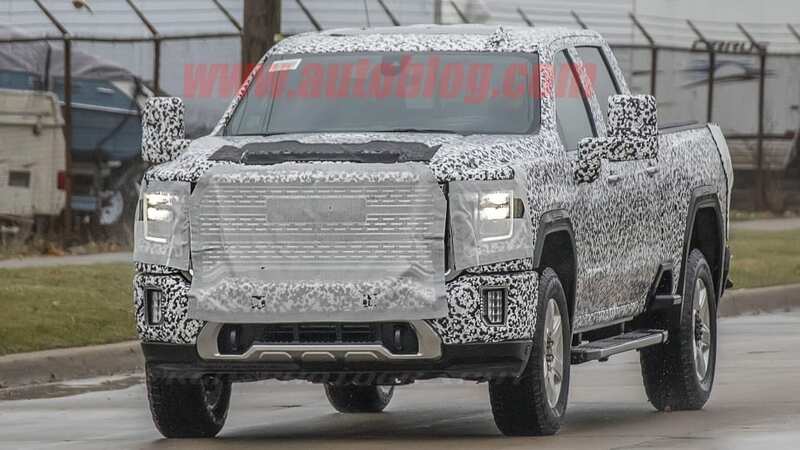 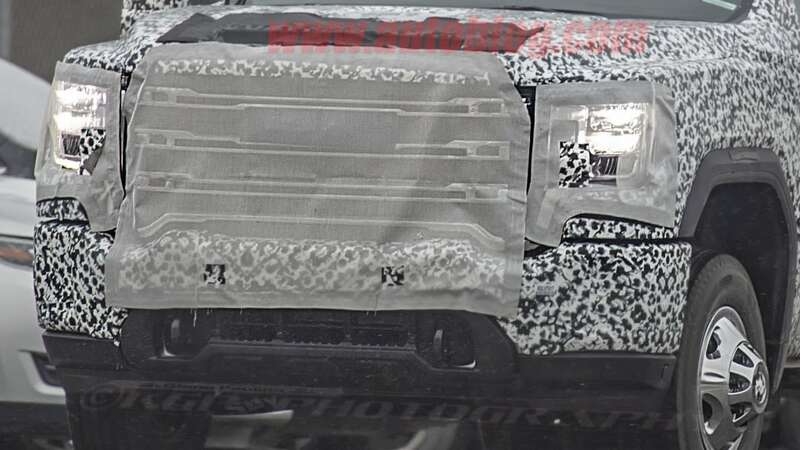 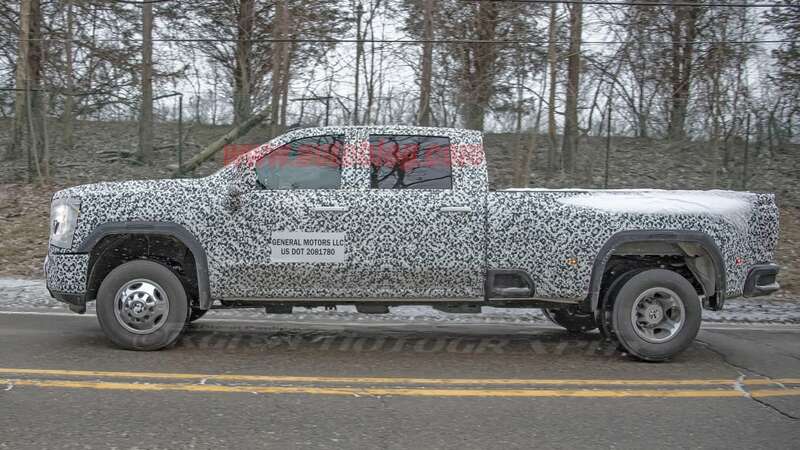 We saw spy shots of the Chevrolet Silverado HD a short time ago, and now it looks like GM has got the 2020 GMC Sierra Heavy Duty trucks running around in public too. 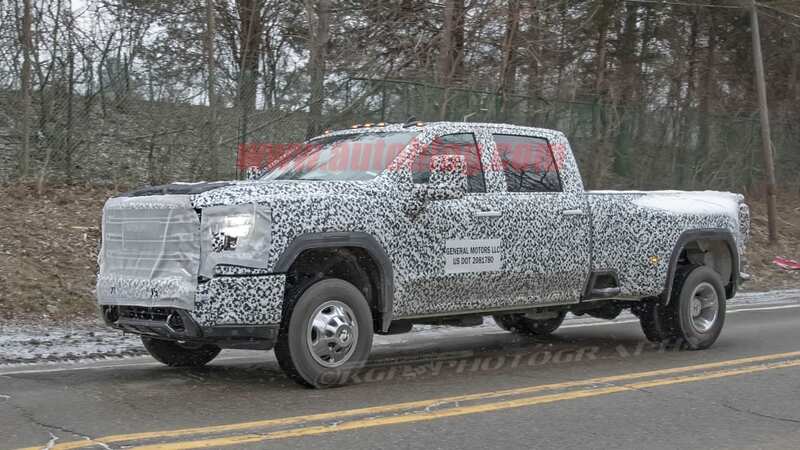 The one we're looking at here appears to be a 2500 Denali Crew Cab, distinguished easily by the same Denali grille on the 2019 Sierra 1500. 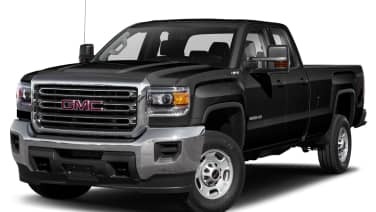 Aesthetic differences between the front fascias on the 1500 and 2500 HD are small, but the 2500 is a bit more muscular in the hood and lower trim treatment. 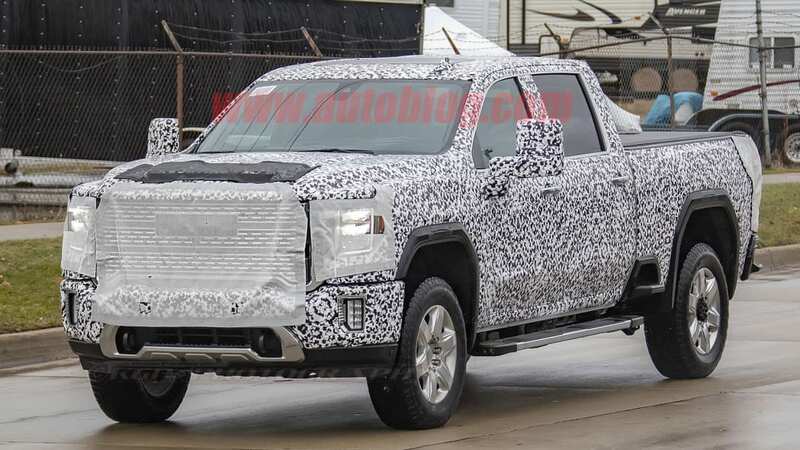 GMC doesn't look like it's hiding a whole lot with this camouflage, since the sheets over the grille and headlights are mostly transparent. 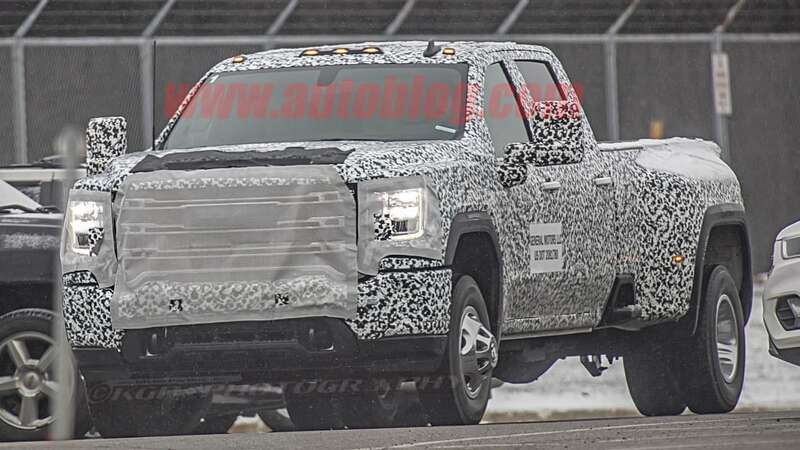 The black tarp over what appears to be a hood scoop leads us to believe it will have the same type of hood design as the 2018 HD. 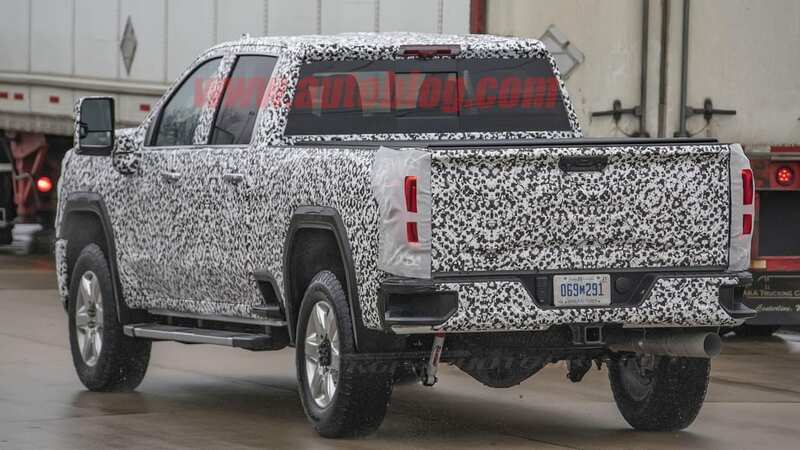 Other interesting bits revealed here are around the rear of the pickup. 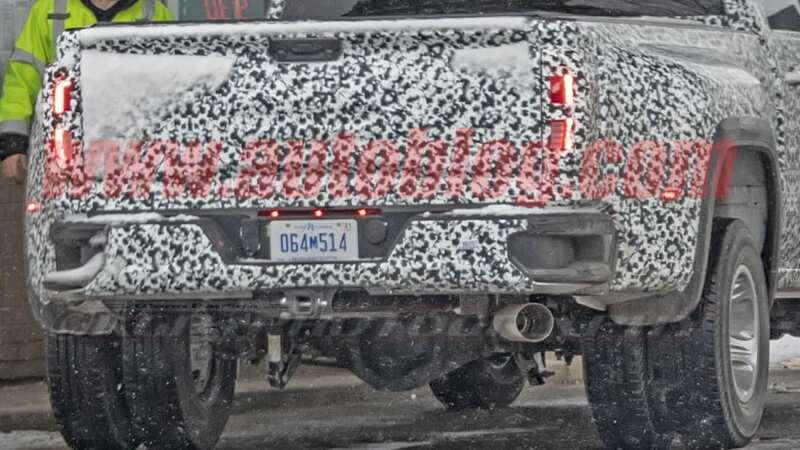 We can see the same interface for the MultiPro six-way tailgate on this truck as the 1500, so at least the Denalis will have the trick tailgate (we'd expect every trim to have it, though). 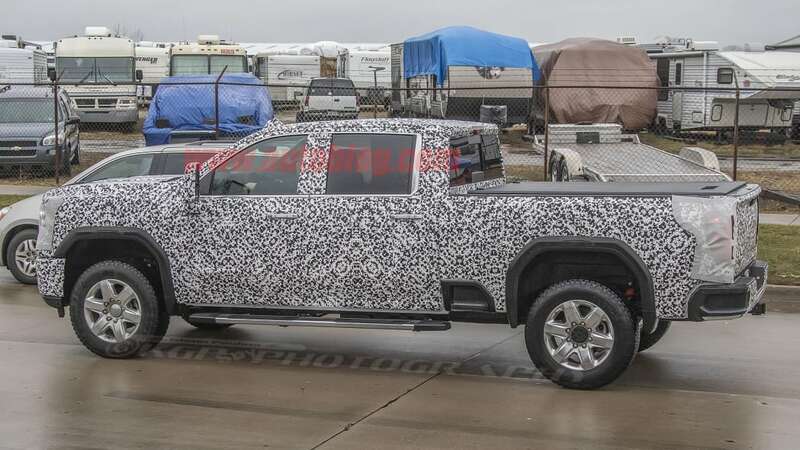 Just like we saw on the Silverado, the Sierra HD gets the stepside feature just ahead of the rear wheels. 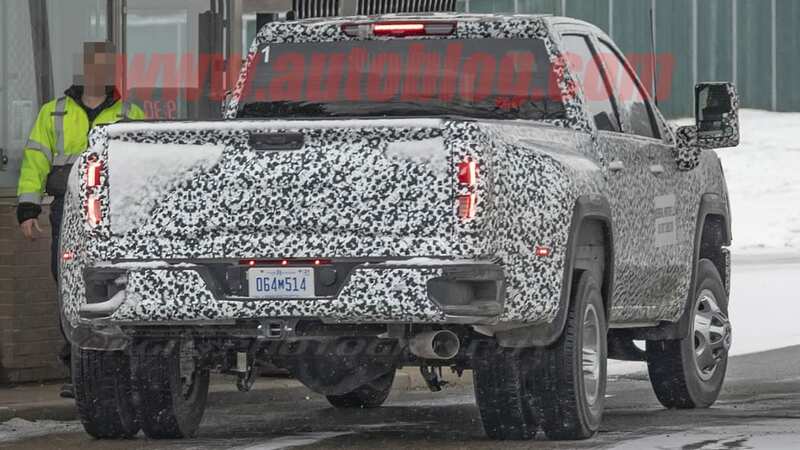 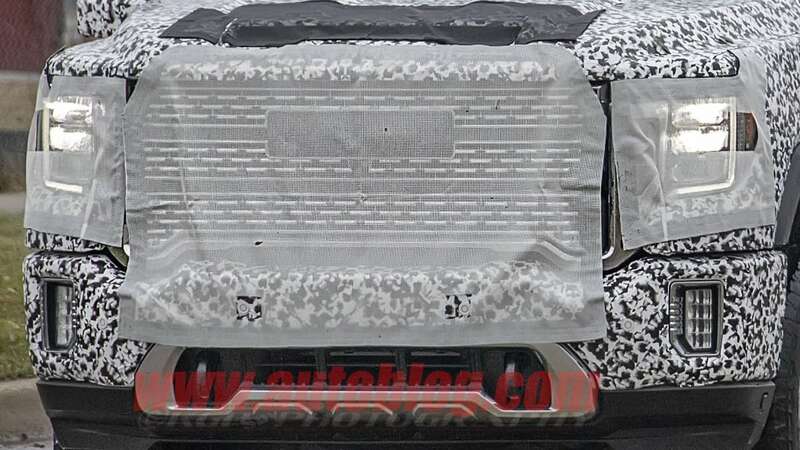 LED taillights are clearly visible through the thin veiling, and GM's rear steps remain as well. 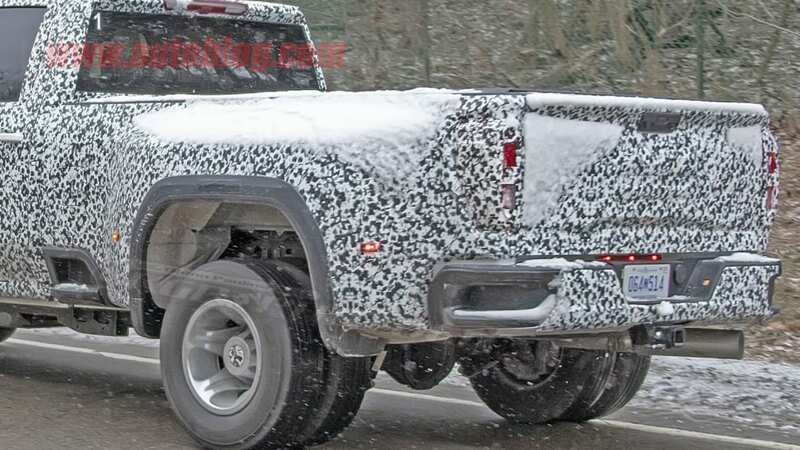 in addition to this 2500 HD, our spy photographers also caught a 3500 HD model. 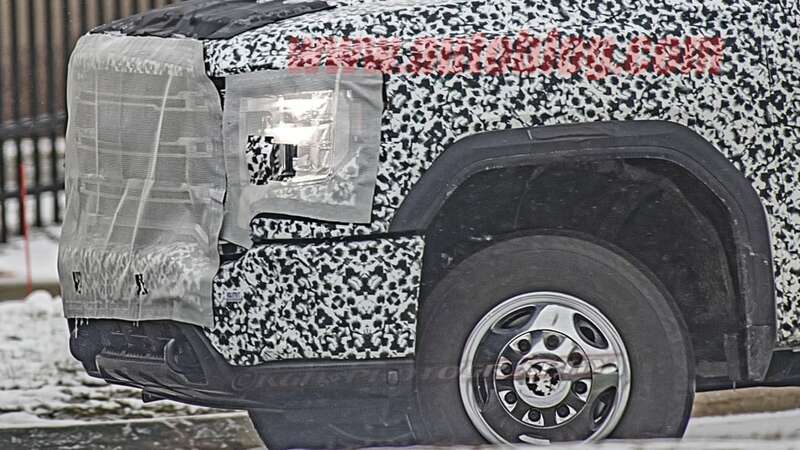 This one isn't a Denali, as the grille shows its hand again. 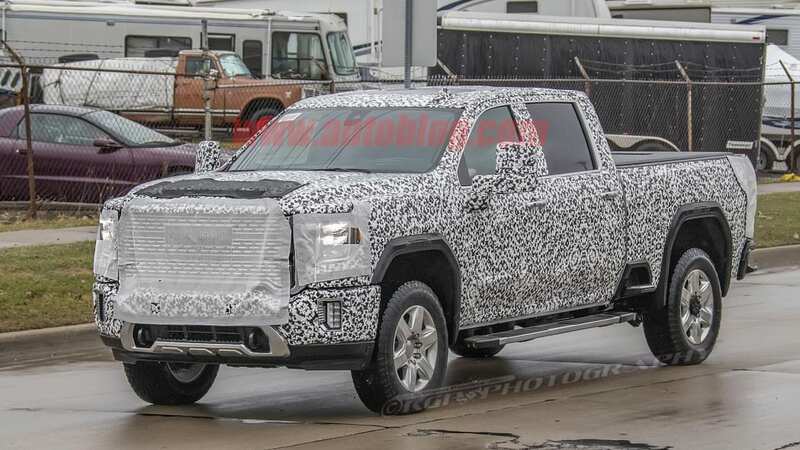 The grille is different than any of GM's designs on the new trucks we've seen thus far, actually. 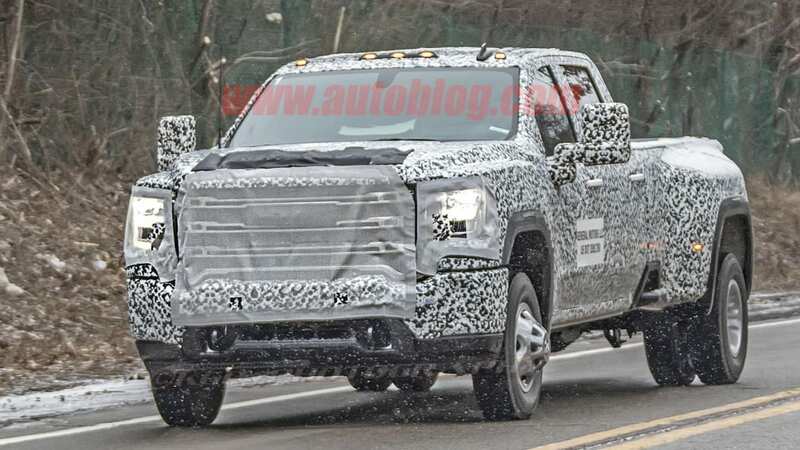 GMC showed us a teaser of what a new Silverado HD grille would look like months ago, but this differs even further than that. 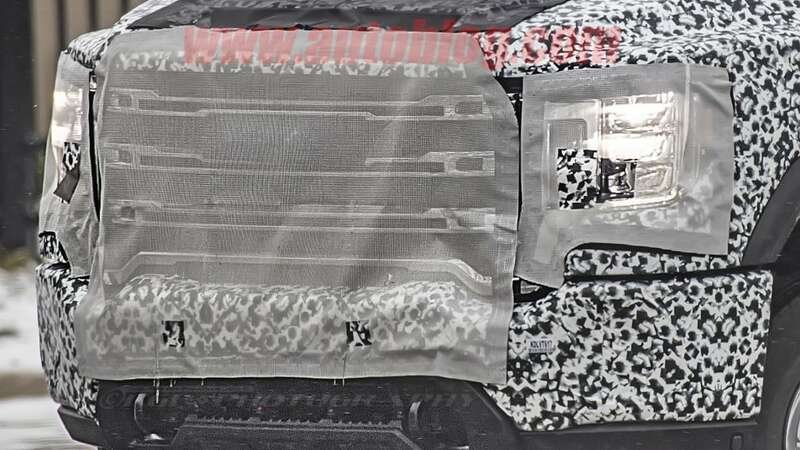 It looks rather minimalistic under the sheet for now, with strong horizontal slats. 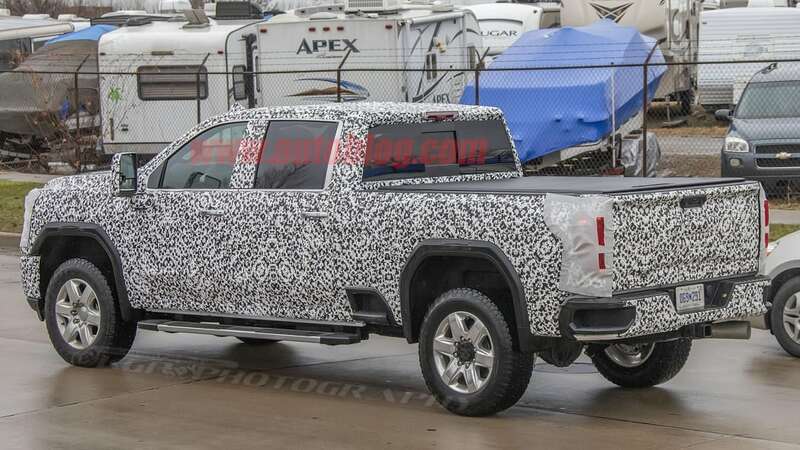 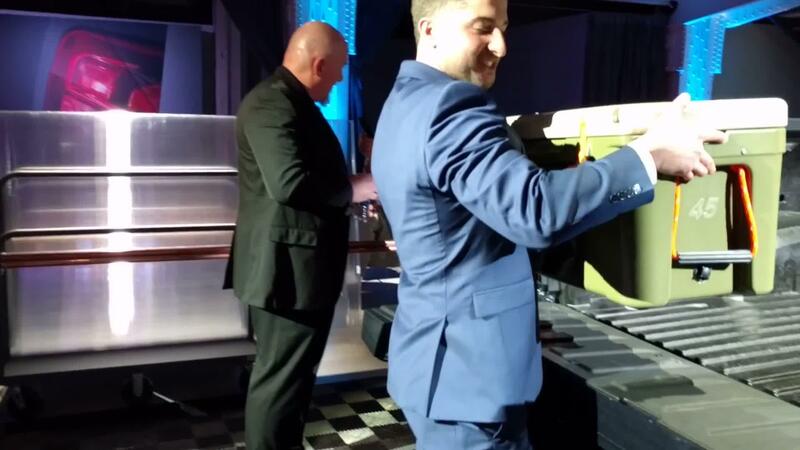 The actual shape and design of the truck is revealed for the most part, since it's just wearing a thin body wrap. 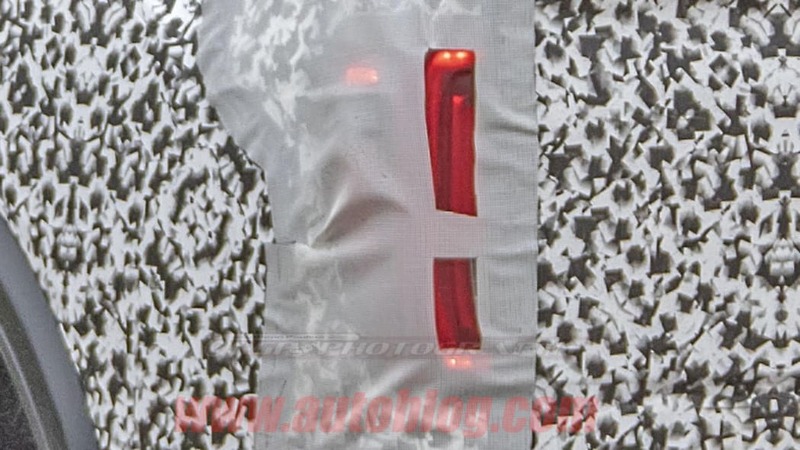 Its mirror design appears to be different from last year's, as the arm is completely solid. 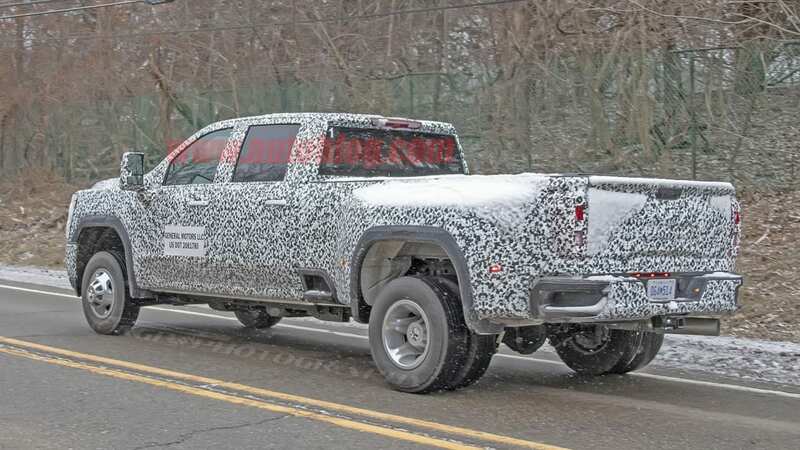 A sidestep right in front of the rear wheels carries over from the 2500 HD too. 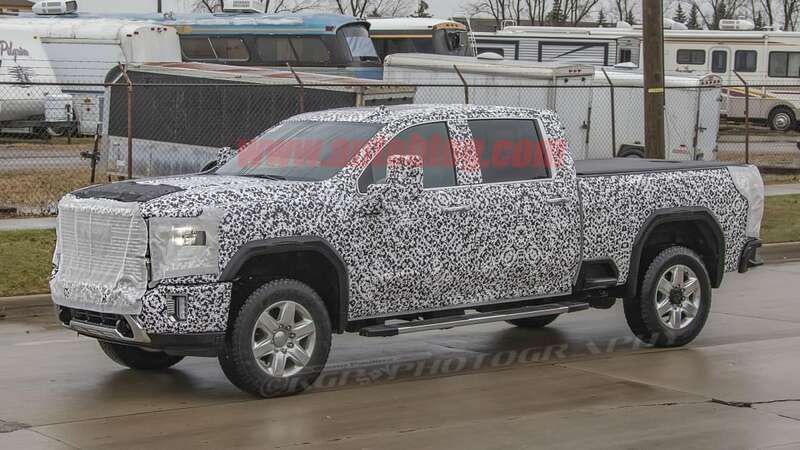 We imagine both this truck and the Silverado HD will debut early next year during auto show season.